Of all modern technologies that have disrupted businesses in recent years, none is less understood than the cloud. CPA firms have managed to leverage most other technological advancements, but the cloud was slow to be adopted in such a traditionally-based and conservatively-minded group of professionals. But waiting it out had advantages. While CPA firms have been among the slowest industries to go cloud, this wait time gave cloud service providers and cloud products time to mature and develop. Now CPA firms can enter the fray with more confidence and peace of mind. What do you need to know before jumping on board with the cloud? 1. What’s the Difference in ‘Cloud’ and ‘SaaS’? The cloud is a comprehensive term that means storage and computing resources that are based in an offsite data center and are managed by the cloud service provider. Cloud products include cloud-based storage, cloud-based computing power, cloud-based software systems, etc. 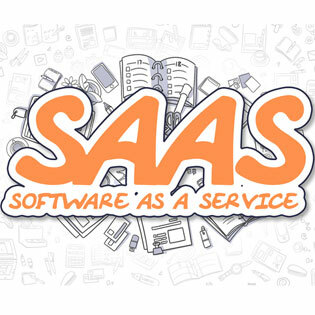 SaaS specifically refers to software that is housed and managed by the cloud service provider. Usually, an SaaS provider includes all data storage with their cloud-based software systems. A cloud-based system may or may not include all of the data storage, depending on the terms of the cloud service provider. Some vendors prefer using the term ‘cloud’ and others like to use ‘SaaS’ instead, even when services are more or less the same. You’re in business because you’re very good at accounting. You understand tax laws, and are able to advise your clients on smart ways to manage their money to limit their tax liability, among many other things. What you aren’t is a cyber security specialist. Today’s cyber security environment is challenging even for lifelong IT pros that haven’t had specialized training and experience in the realm of security. Getting an ‘IT guy’ and installing some antivirus software is wholly inadequate in today’s online world, particularly for the CPA firm that holds an enormous amount of very sensitive information on their clients. A cloud service provider’s primary skill is cyber security. In fact, that is usually second to expertise in storage, software development, and related skills. Without top-tier cyber security skills, the cloud service goes belly-up. Data security is their most important product. You can learn more about what it takes to be secure in the current cyber climate when you buy the book ‘Easy Prey: How to Protect Your Business From Data Breach, Cybercrime and Employee Fraud’. Most CPA firms aren’t quite at the paperless office yet, but the cloud can get you mighty close. With the cloud, you have instant access to all of your files, folders, documents, software systems, and data storage from your desktop computer, tablet computer, notebook, or even your smartphone. This is ideal for times when you have to meet with or serve your clients away from your office, or for those brutal nights between February and April when every night you have to bring some work home with you. Is your CPA firm ready to go cloud? What products and services do you need? How much can you save by moving data stores, software systems, backups and disaster recovery, and other critical IT services to the cloud?